Kirbie Goes to Hollywood: "So that's why I'm not getting his texts anymore..."
"So that's why I'm not getting his texts anymore..."
Lots of things to catch you guys up on, so here it all is! First off, my trip to Texas was fabulous as always. The comfort of home is something I can never get enough of. After I got back (an excruciating trip, Southwest Airlines), I was full speed ahead: getting my computer fixed? Check. Finding my paycheck? Check (it was lost in the mail until today). Sending resume upon resume to get a great entry-level job? Check. Hopefully I can score an interview with InStyle because there is an assistant opening I am dying to have! - Monday, I went tanning and little did I know that Shenae Grimes (90210, Degrassi) tans at the same salon as me! - Tuesday, I started a new routine of getting up at 6:00 to work out before work. It has been great for my health and psyche and I feel so refreshed knowing that I can come home and just hang out instead of hauling off to the gym after dark. Anyway, as I was running on the tred, I spotted a woman who I couldn't have missed if I tried. It was Jane Lynch! *SQUEALS* I love her! 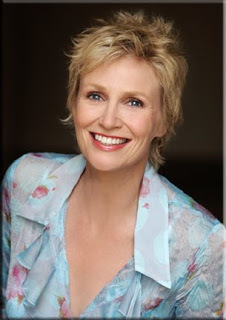 You guys know her as Sue Sylvester from Glee, I know her as Patron Saint of Comedy. 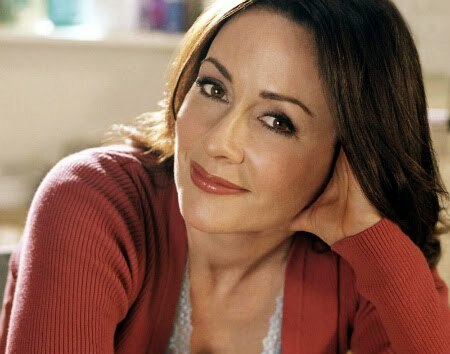 - At work, I was taking appointments and after I gave my spiel, I hear, "Hi Kirbie, It's Patricia Heaton." It took me a minute to register but I was instantly excited to speak with her. Usually celebs get an agent or publicist to book appointments for them and I loved how she just called and got me to book all of her services. Also, I was watching E! today and I cannot stand the hoes on "Pretty Wild." Especially Alexis, who is basically getting C-list fame for being a part of the "Bling Ring." While it's an allegation, Alexis was served and jailed for being a part of a group of wealthy kids who were stealing from the likes of Lindsay Lohan, Rachel Bilson, and Paris Hilton. I wanted to know more about this "Bling Ring," so I found this article from Vanity Fair. While I am still shocked that they found coke in Paris Hilton's house, it was even more shocking to read that someone by the name of Johnny Dangerous, a nightclub promoter at Les Deux, is in a correctional facility for buying stolen Rolex's and a pistol from Bryan Austin Green's home. I thought it was weird that his name was Johnny Dangerous because I knew a guy by this name -- after the Beyonce concert last July, a group of friends and I went to Les Deux. I wasn't thrilled but we were there and determined to have a good time. When we got there, Johnny asked for my number (along with a friend), to which we kind of gave him the "go to hell" look and after our friend Michelle told him off, he announced he was the promoter at the club and that he could get us in anywhere. Being new to the city and wanting to not get off on the wrong foot, we were nice and give him our numbers and consequently received endless "Come to Les Deux!" texts every week announcing some event and pleading for us to get VIP bottle service under his name. The texts came to a halt (THANK GOD!) and now I know it's because he's in jail for being a part of this bling ring. Read the article here. Johnny... Dangerous enough to end up in a correctional facility. Long story short? Be careful who you hang out with out here. Not like I'm one to get into a ring of stealing shiz from people I look up to, but LA is nuts and I've had a few nights where I'm sober and going "Where the hell are we?"